Our customers occassionally send us photos of their projects. We've included a couple here. If you have a project you would like us to show, e-mail us a photo and some details and we'll get it on the web! 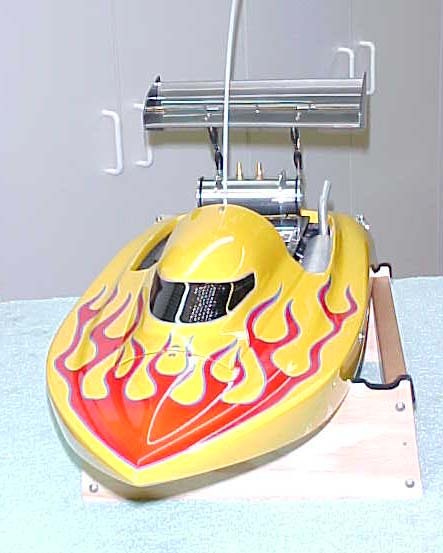 Modeled after the Top Fuel Hydro "Problem Child" this is a beautiful SXD48-PC Gas Drag Hydro. G26 Zenoah-powered with a complete V-Drive system including clutch, transfer case and dual V-Drives with counter-rotating props. Still not finished with this project, but it's begging to be released! We have yet to install NITROUS! This is Greg Falconer's real crackerbox. 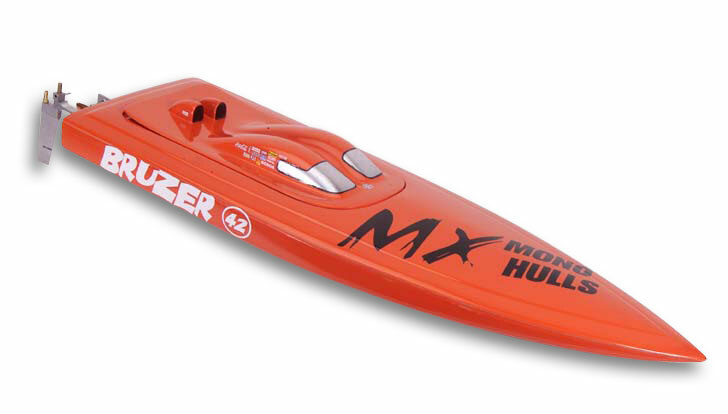 If you attended the RCX Show in Anaheim, CA you would have seen this boat in our booth. A real show stopper! Greg says it will reach 100 mph in the kilos. 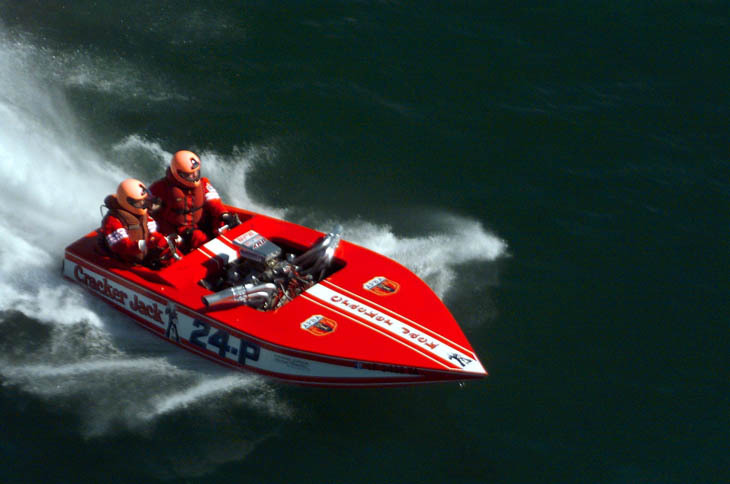 If you've ever seen these run, 100 mph is really, really fast and wild in a 16 foot boat! Thank you Greg! 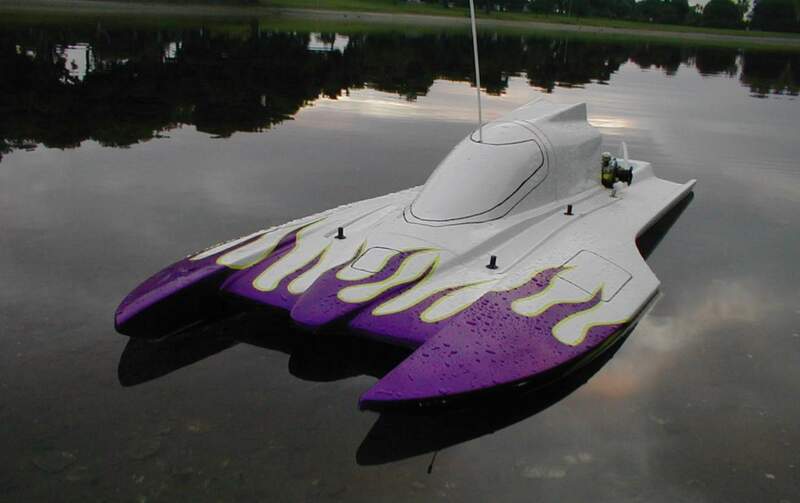 SXD45 Drag Hydro with full working Zoomie headers on a Rossi 90. That even scares us! Installed is our 4" V-drive, 45 Hydro running hardware, and all aluminum fuel tank. We can't wait to see the speeds! From Santa Barbara, CA, this is Mike Brown's runner bottom that he built from scratch. It features a Rossi 3.5 Pull start motor with muffled, tuned pipe, Hyperformance Aluminum Fuel tank, and Hyperformane running hardware. 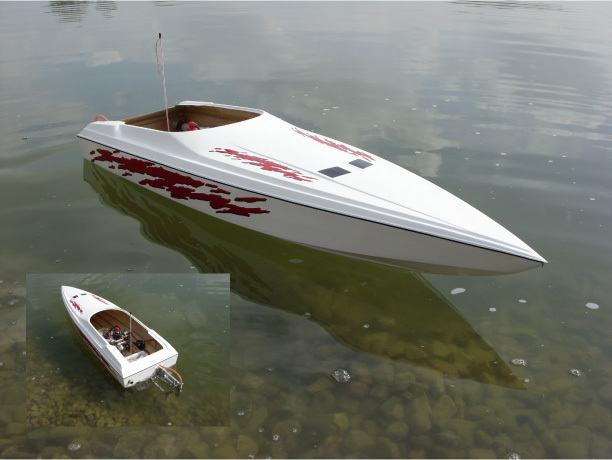 Mike designed and built his own wing and added a nice set of trim tabs. He says it runs great. He's looking to move into a 1/4 Scale Crackerbox (look at our new Crackerbox Hull) and possibly into our 1/5th scale Gas Flatbottom. 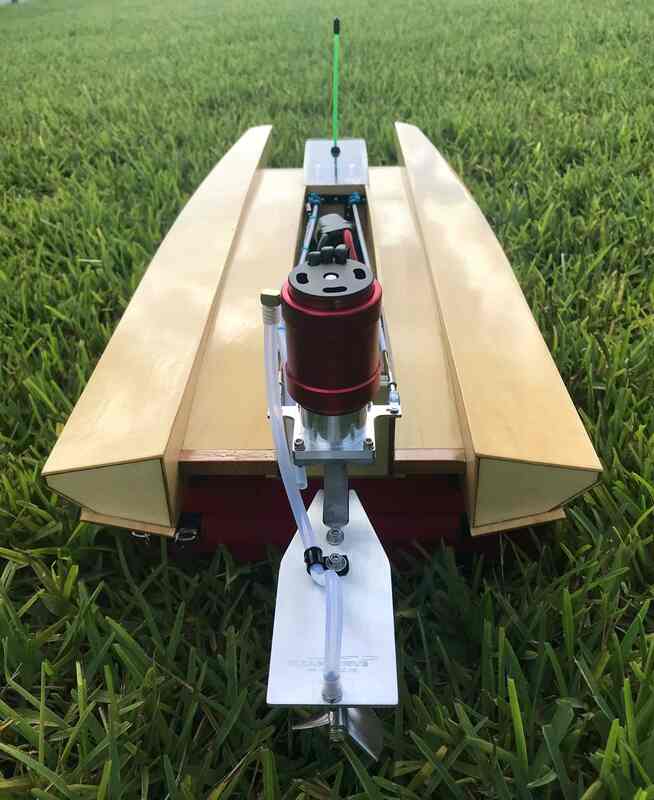 Robert Scott's VS1 with Hyperformance Bullet Drive and components including the Outboard Adapter Kit. Robert is using a Seaking 180 with Leo 3660 2050kv on 4s. "Clean" setup! !